One of the fastest-growing endurance sports in the world, swimrun is set to take the UK by storm. But where did the bonkers idea to swim, run and repeat spring from? As legend has it the emerging sport was first devised over a late night drinking session back in 2002. Hotelier Anders Malm, the owner of Utö Värdshus hotel in Sweden, was sharing a tipple with a few members of staff, including the Andersson brothers. After a few too many drinks, the conversation soon turned to adventure. Before the night was through Malm and the brothers had set each other a challenge, to race across the Stockholm archipelago the following morning. The bet involved running and swimming across the islands from Utö Värdshus to Sandhamn in teams of two. By way of a forfeit the last pair to complete the task and make it to Sandhamn had to pay for the hotel, dinner and drinks at the other end. The only rules were the teams had to pass the three different restaurants on the islands and the last team at each stop had to drink and pay for what the team ahead of them had ordered on their behalf. As promised the following morning the two teams set off on their quest to reach the other side. After swimming and running a total of 75K, it took both teams over 24 hours to reach their destination. By the time their Herculean task was complete, they were all too tired to celebrate their success. Despite this, Malm and the brothers enjoyed the crazy challenge so much they continued to race each other across the Stockholm archipelago for several years to come. 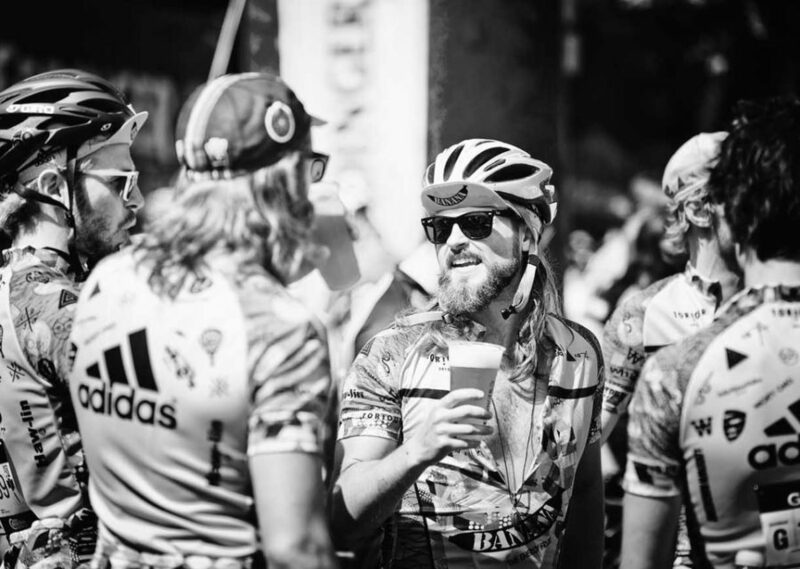 A few years later professional multisport athletes and pioneers of the Scandinavian adventure racing scene Michael Lemmel and Mats Skott got wind of this off-the-wall challenge and decided to turn it into a commercial venture. With the help of Anders Malm and the Andersson brothers an official race began to take shape. The restaurant stops and beer forfeits were replaced by serious endurance athletes determined to keep going all day and before long swimrun was born. 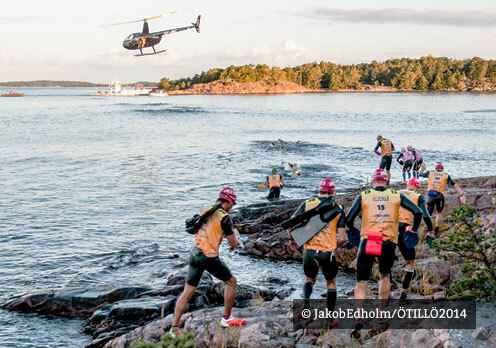 The race that resulted from that one crazy night - ÖTILLÖ (Swedish for Island-to-Island) – has since become the world championship of swimrun racing, attracting the best adventure racers, triathletes, runners and swimmers from around the globe. One of the fastest-growing endurance sports in the world, ÖTILLÖ and several similar swimrun events in the Nordic region have been attracting an increasing number of international entrants. Races usually take place in beautiful and remote locations, pitting racers against technical trails, the high crags and icy bodies of water. To participate in swimrun all that is required is a wetsuit, goggles and a pair of trainers. Uniquely, participants race in pairs, so the suffering and elation that inevitably ensues is shared and team work plays an integral role in success. The popularity of triathlon and obstacle events such as Tough Mudder and Spartan Race demonstrates the increasing enthusiasm for more varied physical challenges and suggests swimrun will continue to grow in popularity. If the concept of tackling an exhilarating new multisport appeals, the good news is you no longer have to go as far afield to enjoy the emerging new sport. 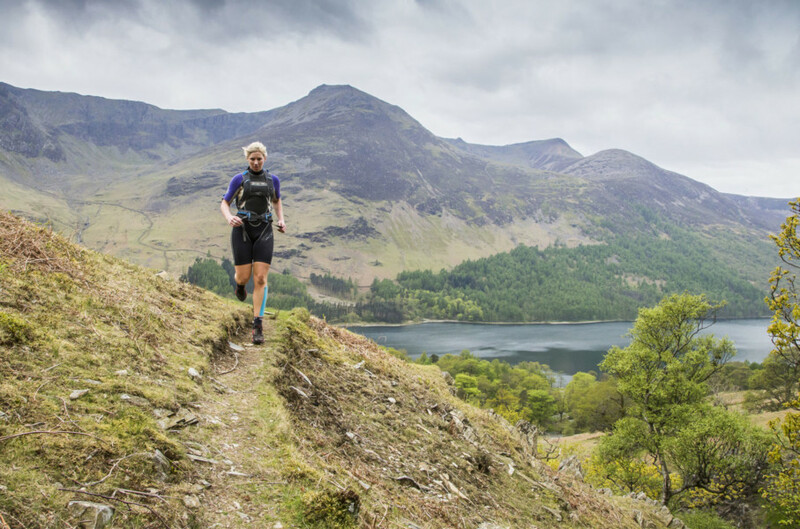 Endurance events company Breca is bringing swimrun to the UK on 15 August with its inaugural race, Breca Buttermere. 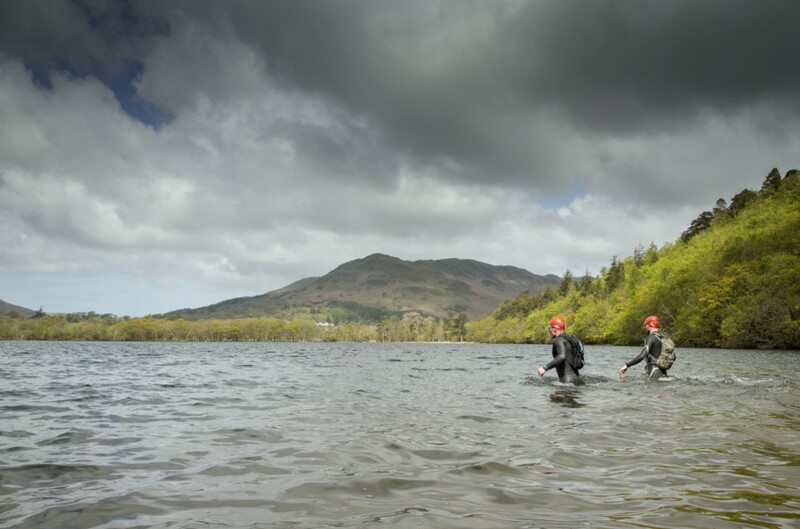 Inspired by ÖTILLÖ , the event promises to be an epic swimrun race across some of the UK's most savagely beautiful landscapes: the Western Fells of the Lake District. 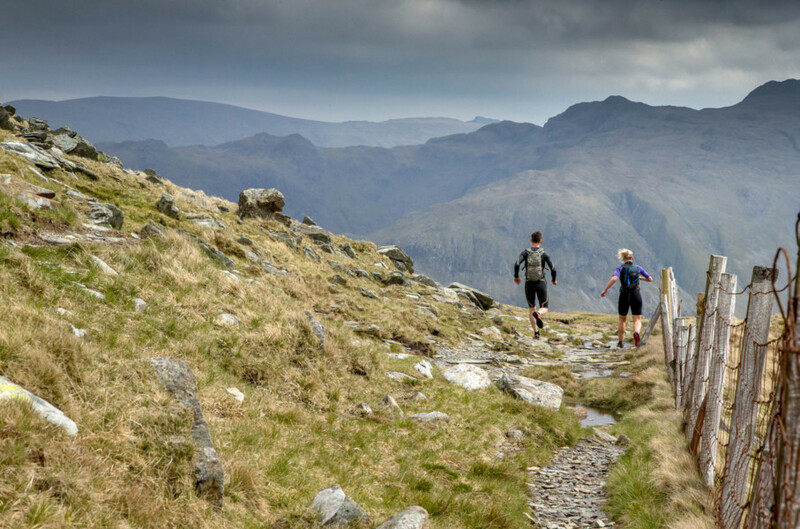 Over 17 consecutive legs, teams of two will complete a total of 6K of lake swimming and 38K trail running, including 1,900m of vertical ascent and the infamous Honister Pass. A couple of us at Find a Race liked the sound of Swimrun so much, we're doing next month's Engadin Swimrun in Switzerland. We'll keep you posted on the strange new world of running in a wetsuit and swimming in trainers. On Sunday we'll be joining 15,000 other riders at the Velothon Wales, a 140km closed road sportive that loops up from Cardiff into the Brecon Beacons.